Anthony Fung was born in Richmond Hill, Canada and has been playing the drums since the age of 10. Currently residing in Los Angeles, Anthony has already established himself as one of the most up-and-coming drummers of his generation. He received both his Bachelor of Music and Masters in Music Performance from the Berklee College of Music. During his studies at Berklee, he was a member of the Berklee Global Jazz Institute under the tutelage of Danilo Pérez. Most recently he has won a coveted spot as the drummer for the prestigious Thelonious Monk Institute of Jazz ’18. 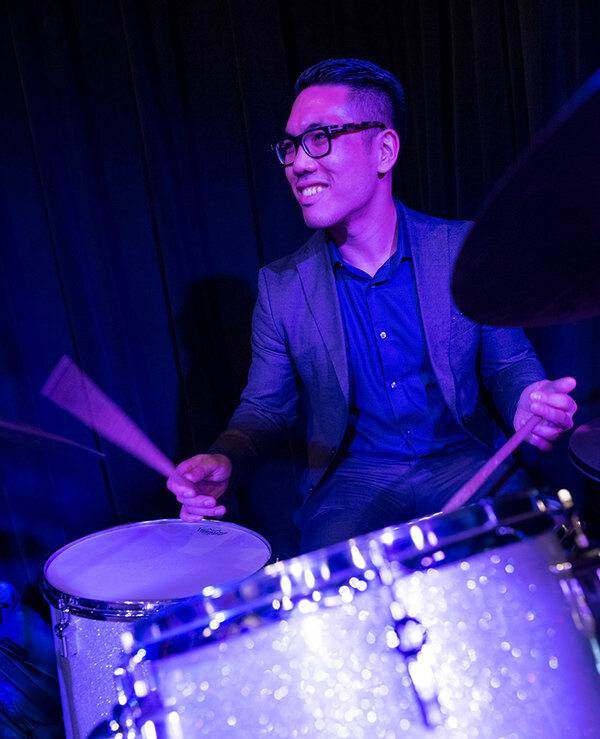 Anthony has traveled and performed at numerous jazz festivals across the world including: The International Jazz Day 2017 in Havana, Panama Jazz Festival, Panama Percussion Festival, Sitka Jazz Festival, Monterey Jazz Festival, Toronto Jazz Festival, and the Montreal Jazz Festival. He has also performed with the likes of Danilo Perez, Wayne Shorter, Herbie Hancock, John Patitucci, Joe Lovano, Esperanza Spalding, George Garzone, Kenny Werner, Jerry Bergonzi, Danny Rivera, Ruben Blades, Oscar Cruz, Omar Diaz, Ingrid Jensen, and Kirk MacDonald among others.